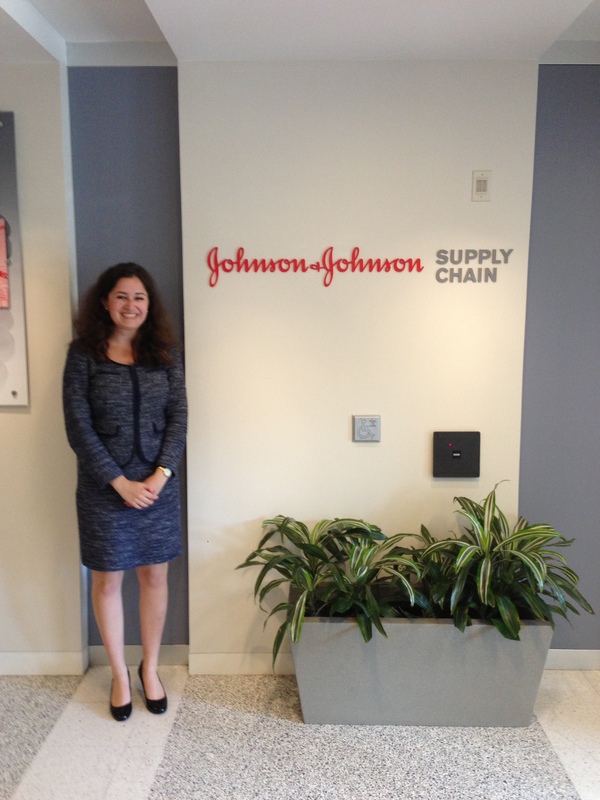 This summer (May-August 2013) I worked at Johnson & Johnson as a Project Management Intern in the Quality Operations Organization of the Medical Devices and Diagnostics Global Supply Chain. Today at J&J, the name of the game is “standardization.” For the majority of J&J’s history, the company existed as a decentralized “family of companies.” However, when 1996 Wharton MBA graduate Alex Gorsky stepped up as CEO last year, things began to change. Gorsky requested that every J&J employee feel like they work for J&J, not Neutrogena, Janssen, or Ethicon. While instilling a universal culture has forced J&J to face a number of difficult challenges, it has also provided the company with a number of opportunities for improvement, specifically in the realm of Quality. I was fortunate to be assigned a manager who is involved in a number of exciting new initiatives in the Quality Operations Organization. First and foremost, she is the leader of the Quality Excellence in Execution (QE2) Core Team. In the past, J&J’s three clusters (Medical Devices and Diagnostics, Pharmaceuticals, and Consumer) have each run their own unique quality improvement programs. QE2 was born from the idea that an Enterprise-wide program would be even more successful in improving product quality. I did a significant amount of work on the QE2 program, which is currently being deployed and matured throughout the J&J manufacturing sites. On the first day of my internship, I was asked to benchmark alternative approaches to quality across industries, and recommend and implement best practices (upon their approval) for the QE2 program. I took advantage of Penn’s vast library system (which I was able to access from my laptop at work) and wrote a comprehensive report comparing J&J’s quality initiatives with those of five other major manufacturing companies. My manager was thrilled with all of my recommendations, and ultimately asked me to implement every one. All of my work is already up on J&J’s QE2 website, which will be accessed for training purposes by all 130,000 J&J employees. The QE2 program is comprised of eighteen different modules, or methods through which quality can be improved. The Quality Operations leadership team is interested in knowing how J&J’s manufacturing sites are progressing in the deployment and maturity of those eighteen modules quarterly. To organize those metrics and produce a report which displays them on a scorecard, J&J uses the Cognos Connection Metric Studio. I was responsible for teaching all of J&J’s QE2 data owners how to request permissions to access Cognos, and also how to enter their data into the system. For several weeks, I arrived at work at 6:15 am or stayed past 9 pm to virtually train more than sixty data owners internationally. After training, I was the “go-to” person for all of the data owners, and helped them one-on-one to successfully enter their values. Additionally, I made report templates for each of the sector leads so they could easily run reports and see which of their data owners had successfully entered values for their metrics. With those reports, I was also able to run calculations to critically evaluate the QE2 program’s effectiveness in reducing non-conformances, quality holds, and field actions. Meanwhile, a number of VPs were working with HR to standardize job titles and reporting structures as part of the NorthStar Project. I collaborated with HR to standardize 17,000 job titles for the Quality Operations Organization’s redesign, and also analyzed and summarized hundreds of survey results to determine where the organization lies along the change curve in accepting the new operational model. Also related to the NorthStar project, I documented the portfolio management process and the new changes to standardize the MD&D quality labs to inform new project managers and regional lab directors of procedural and organizational changes. It was truly an incredible summer. I learned a tremendous amount about J&J and additional career paths I would like to explore in the medical device industry. Thanks to M&T, the sky is the limit in terms of the opportunities that will be available to me upon my graduation. Whether I pick Quality, R&D, or Operations, I am confident that my M&T curriculum will prepare me well for my future career. Danielle is a current M&T sophomore in the Class of 2016. She studies Bioengineering within Penn Engineering and has yet to declare her concentration in the Wharton School.